While your dog can’t go everywhere with you, a Dog Fever pendant necklace, modeled after man’s best friend, can! Two styles, crafted in sterling silver, will keep your dog close to you at all times: a dog tag with the head of your favorite breed protruding from a decorative round disc; and a dog head. The pieces would be a welcome addition to the jewelry wardrobes of men and women alike. These style standouts were crafted in Milan, Italy. 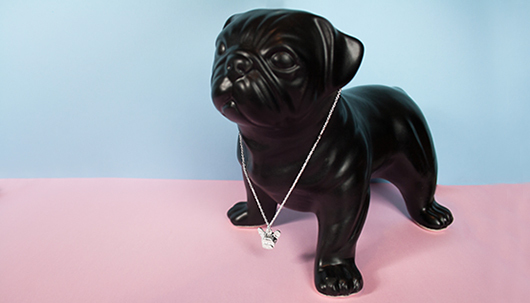 The relationship between people and their pets knows no boundaries; showcase the bond with a necklace from Dog Fever!